The Future Museum traces social changes, turns, revolutions, transitory moments and through these initiates a new configuration of space and time. The dramaturgy focuses mainly on the hitherto undescribed aspects of an art process. As a result, the Future Museum is not a part of the contemporary network existing between museums, galleries, curators and prominent artists, whose aims are to turn art into a commodity revolving around profitable investment, ultimately dealing its true purpose. Future Museum exceeds the classical principle of the institution that strives to create its own perspective on society; the perspective that confirms our everyday lives and political systems and keeps people asleep under a blanket of perceived powerlessness, wrapped in the false dreams of lives lived through other peoples’ eyes in media and the movies. Future Museum endorses artists to create active dialogue and new work. ** Through the open call we are gathering applications on a yearly basis. 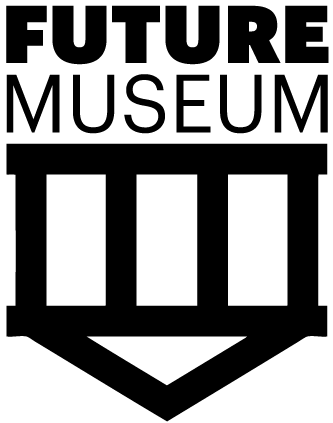 Future Museum is a project backing mobility in Romania, a country that is significantly decentralized. * “At the museum there are the plans of the new city […] The director is showing us more buildings. This one will be the Palace of Soviets, this one will be the museum – the eternal museum. Capa says that the museum is the church of the soviets.” A Russian Journal by John Steinbeck, Robert Capa (Photographer); published by Penguin Classics (2011), first published 1948. ** „We want artists to feel that the gallery is here for them to use and alter to suit their own requirements, not only in terms of the space, but also in the broader sense of how exhibitions are presented and publicised. In this way we hope that artists will be directly involved in the dialogue of what a gallery can and should be.“ Published by Acme gallery brochure in 1977. Acme Studios Housing Association was founded in 1972 to provide residential and work space for a small group of young artists in London.